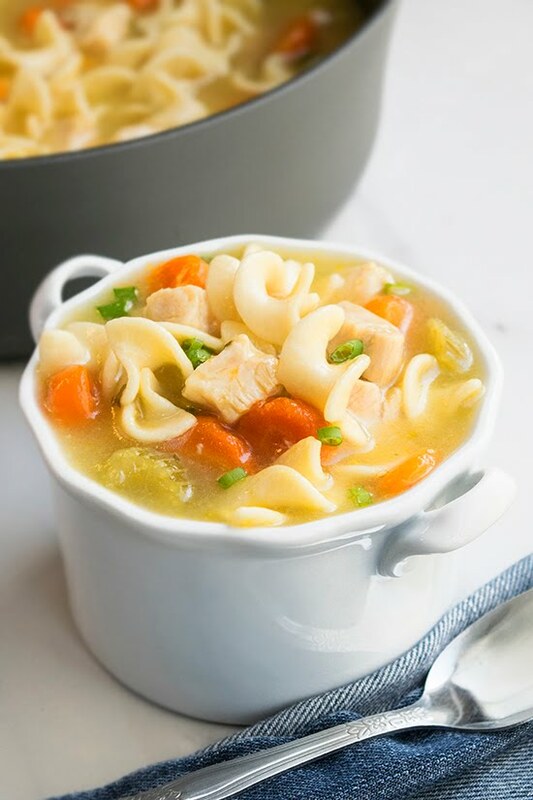 This classic chicken noodle soup is simple to make in less than an hour with ingredients you already have in your pantry. It’s loaded with chicken & herbs. In a large stockpot, heat butter on medium high heat. Add carrots, celery, onions and saute everything until the veggies become slightly tender. Add ginger, garlic and saute them for 1-2 minutes, making sure not to burn them. Add broth, thyme, oregano, bay leaf, salt, pepper and bring everything to a boil. Let simmer 5 minutes. Add chicken and egg noodles and let simmer for about 10 minutes or until the noodles become soft. 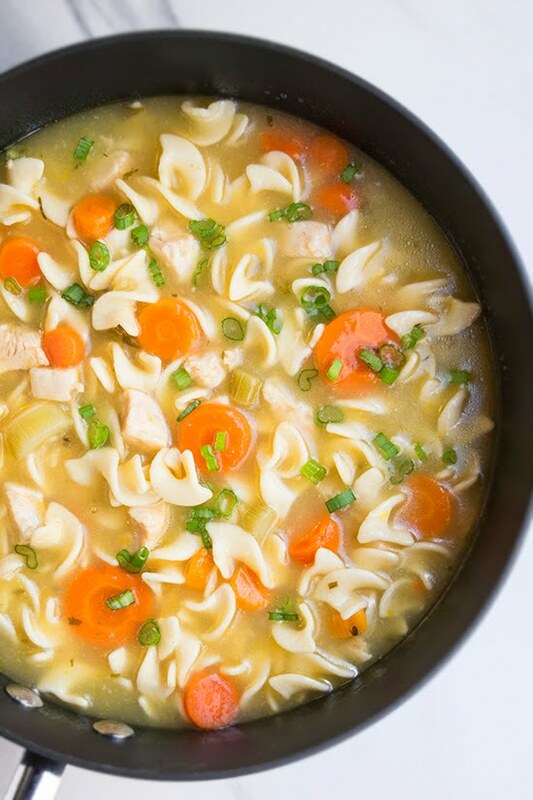 Note: If you like more broth in your soup, you can add some more water or broth and cook for an additional 4-5 minutes.